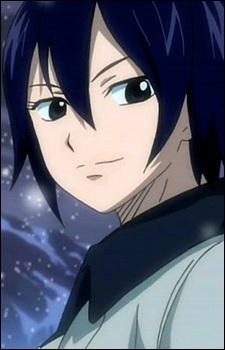 Ul is a very powerful ice mage that trained both Leon and Gray. While Ul and her first apprentice Leon were walking through a town where the evil demon Deliora had just rampaged they found one lone survivor who happened to be Gray. From that day on Ul had trained both the boys to become ice mages and even began seeing them as her own two sons. It was later revealed that Ultear is Ul's daughter and Siegrain commented that if Ul was alive, she would most likely be one of the Ten Holy Mages. Ul sacrificed herself in a battle with Deliora that was caused by Gray. He had run away from Ul and challenged Deliora himself. In order to save Gray, Ul used Iced Shell that turns the user's body into ice and thus freezes the enemy. Even so, she didn't actually die; she was turned into an ice, and it was proven when Deliora died from being frozen in the ice for too long. Cute magical girls may appeal to some people, but there's nothing hotter than a mature and elegant woman who has mastered the ways of magic. We'll be counting down ten of the hottest witches in anime, with only one woman being selected per anime.